After a long, great climb through some woods the route reaches a lookout with the first peek at Alpine peaks. I was in no rush and would leave the main road and have some fun with my mini tripod. Lake Annecy can be seen from here on a clear day. It is directly above my head (Le Semnoz is loaf of bread to the right). 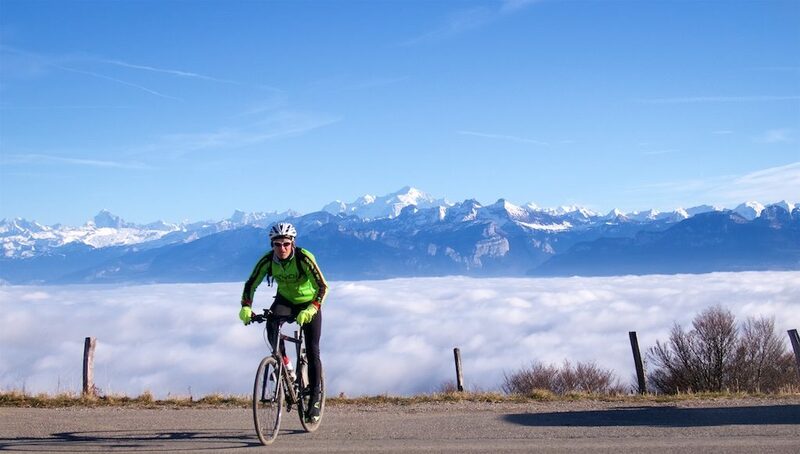 I often go on about why Mont Salève is a fun mountain for cycling – a main reason: there are several kilometres of road run along the top with views of the Jura mountains on one side, and the Alps on the other. See here for details of all five road bikes route up Mont Salève. 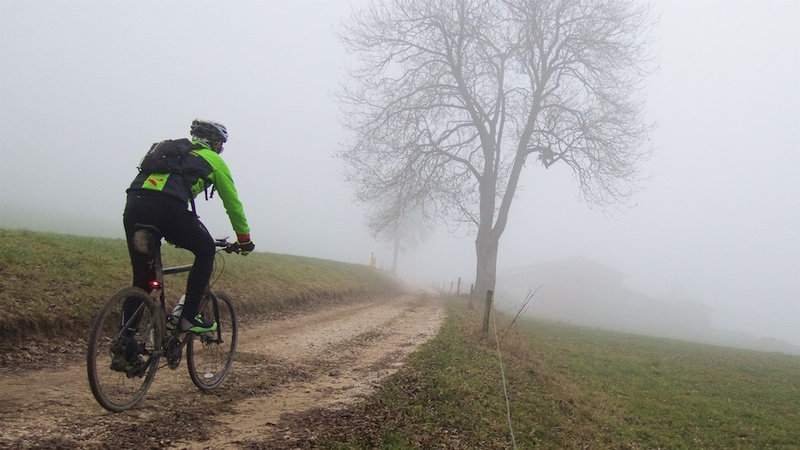 And see here for a bunch of mountain bike routes up Mont Salève. Below are the Jura mountains (my house directly below the clouds, and Geneva below on the right. (I was quite happy with this photo, I jumped over a barrier, placed camera on a fence post, and rode along a steep field). But the views from the road are great too. Looks like a great experience! Cheers!